The fence surrounding Buckingham Palace is one of the most famous fences in the UK and one of the most iconic fences in the world! Humans have used fences for as long as there has been civilization. Traditionally, fences are used to denote property lines, keep animals (or children) contained, keep trespassers out, or block the view of a property. Sometimes, however, fences pick up a special purpose that makes them unique and well known. Here are a few of the most famous fences from around the world! What would you guess the world’s longest fence is for? If you guessed it’s for keeping out wild animals, then you’re correct! The Dingo Fence, in southern Queensland, Australia, was erected in 1880 to keep wild dingos from attacking sheep on local ranches. The fences proved to be a little too successful, however. The absence of the dingo population in Queensland had the unintended effect of fostering the local kangaroo population. The out-of-control kangaroo population became the new problem, as the kangaroos and sheep had to compete for grazing areas. 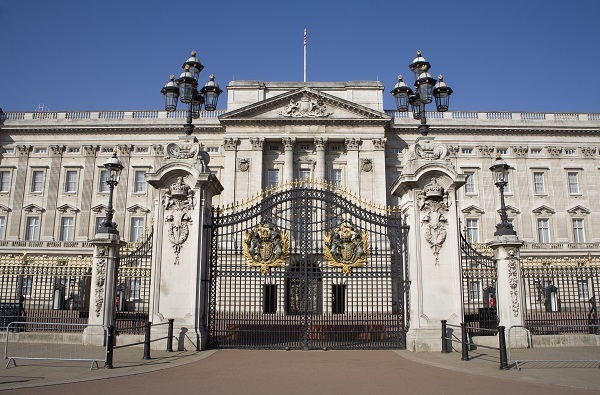 Most visitors in London, England stop by Buckingham Palace to take pictures. What’s the one thing that every picture of Buckingham Palace has in common? They all feature the beautiful fence that surrounds the palace. While this fence is in place for security, keeping visitors a reasonable distance away from the palace, it is also an iconic part of the palace. People will recognize the many fleur-de-lis fence toppers that signify royalty. In 2013, topographical engineer and eccentric businessman Mehmet Ali Gökçeoğlu replaced a 538 foot steel fence with a fully-functioning aquarium around his villa in Turkey. The aquarium hosts a variety of fish, eels, and octopi and is filled with water from the Aegean Sea. A 1,312 foot pipeline connected to the Aegean Sea keeps the aquarium looking fresh and the aquatic life happy. One of the most famous fences in Turkey, thousands of people visit every day to look at the amazing outdoor aquarium. This entry was posted on Friday, October 7th, 2016 at 2:11 pm. Both comments and pings are currently closed.